Doing business with Made in Italy. At Sigep to meet the key producers of ingredients, the manufacturers of machinery and furniture and the providers of services in the field of artisan gelato. The Sigep Observatory on the supply chains exhibiting at the International Trade Show of Artisan Gelato, Pastry, Bakery and the Coffee World (40th edition, 19 till 23 Jan 2019 Rimini Expo Centre), continues monitoring the global market of artisan gelato. 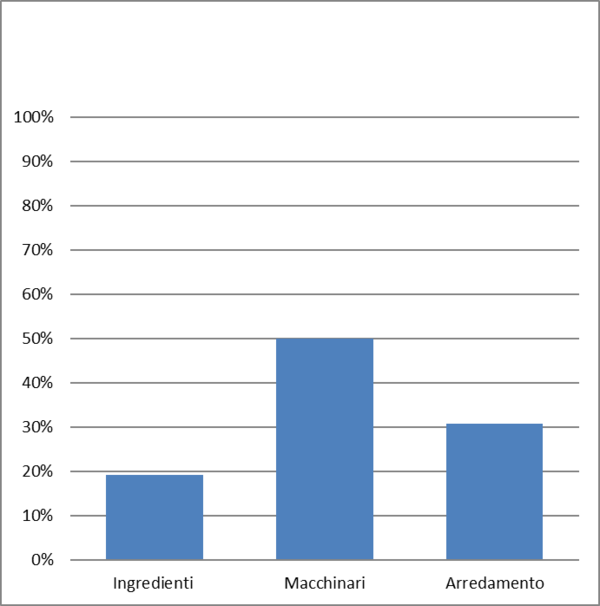 Last year's sample survey focussed on the Italian distribution chain of machinery for artisan gelato (less than 200 companies throughout the country in total), and traced a very interesting link between retail (gelato parlours, pastry shops, cafes etc.) and the manufacturers of gelato production technologies. The picture that emerges is one of specialised distributors whose turnovers are those of small and medium enterprises. 11% of the sample invoices over 5 million Euros per year, followed by a 33% that makes between 2 and 5 million. 17% have more than one headquarters. Distributors buy to then resell, the equipment for the gelato parlours as well as those for bakeries and restaurants. They also sell, even if as a side activity, gelato ingredients, furnishings and display cabinets and espresso coffee machines. One residual part of their activity covers the sale of accessories for product display, finished confectionery products and frozen food. This makeup is more obvious in foreign distributors. 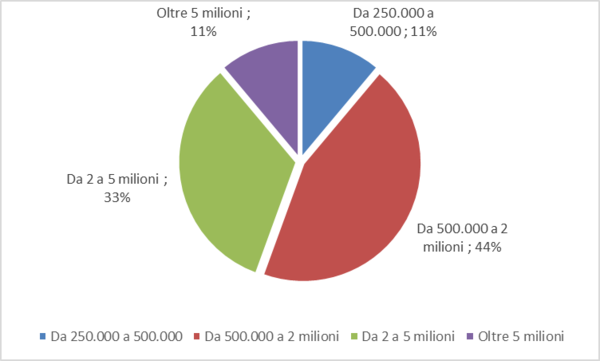 Breakdown by sector of the average turnover generated by the sample of gelato machinery distributors. The distributors' customers are mainly gelato parlours and pastry shops, closely followed by restaurants, cafes, bars, cafes, pizzerias, chocolate shops, hotels, pasta makers, bakeries etc. The customer base is not only regional (42%) but also national (16%) and international (21%), continental (11%) and global (11%) for distributors located in major Italian cities. They mostly resell to France, Spain and Germany. They assume an expansion level for their activity of 6% within the year, 22% over the next 3 years and 11% over the next 5 years.